Noah Jussim focuses his practice in health care law, with particular emphasis on health and life sciences as they relate to pharmacies and ambulance/medical transportation companies. Mr. Jussim provides regulatory counsel and defends his clients in federal, state and county administrative hearings. He has substantial experience negotiating with pharmacy benefit managers (PBM), documenting purchase and sale agreements and prosecuting license applications before boards of pharmacy in all 50 states. Mr. Jussim is also involved in all phases of the litigation and arbitration processes, including Medi-Cal, U.S. Drug Enforcement Administration (DEA) and California Board of Pharmacy hearings. He has represented compounding pharmacies responding to DEA, PBM, U.S. Food and Drug Administration, and Board of Pharmacy inspections. Mr. Jussim provides license and reimbursement counsel to physicians, pharmacies and pharmacists, durable medical equipment (DME) providers, and adult daycare centers, as well as ambulance and nonemergency medical transportation (NEMT) providers. He also regularly assists pharmacies and medical device distributors in regulatory matters, and defends provider status of companies reimbursed by Medicare. In addition, Mr. Jussim defends controlled substance registrations of companies before the DEA. Prior to joining Hinshaw & Culbertson LLP in September 2015, Mr. Jussim was for 10 years an attorney in the Los Angeles officer of an international firm headquartered in Richmond, Virginia. He began his legal career at another large Los Angeles firm. 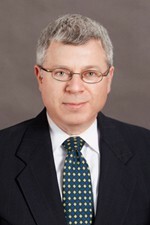 Mr. Jussim's law school accomplishments include receiving his graduating class's highest nonacademic honor for constructive representation of state prison inmates in civil litigation. First-chair counsel in a four-day hearing in defense of the DEA registration of a repackager/distributor. Representation of healthcare providers before the California Medical Board, California State Board of Pharmacy and the California Audiologists and Hearing Aid Dispensers Board. Defense of providers accused of overpayments and fraud by Medi-Cal. Representation of ambulance and NEMT license applicants before the City of Los Angeles Department of Transportation and the Los Angeles County Emergency Medical Services Agency. First-chair counsel in the defense in arbitration of a patent infringement case against a manufacturer. Defense of class actions and suits under California's Unfair Competition Law and the Consumer Legal Remedies Act.